Even if the weather is lousy outside – Wendy Weather and the Weather-Wonkis will make you smile from ear to ear! 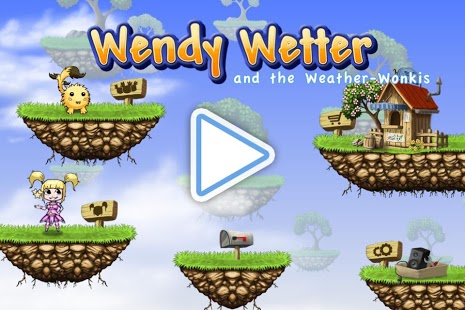 Dive into the world of wetter.com and Wendy Weather. You and your friends, the Weather-Wonkis, you make the weather! Your Wonkis need attention and love. Be sure to give it to them and soon you will have a playground full of wonderful cute Wonkis. And to top it all: they are unique! Breed their abilities and their appearence the way you like it! This game is a simple and fun Endless-Runner and also a dream for all you breeding fans out there. 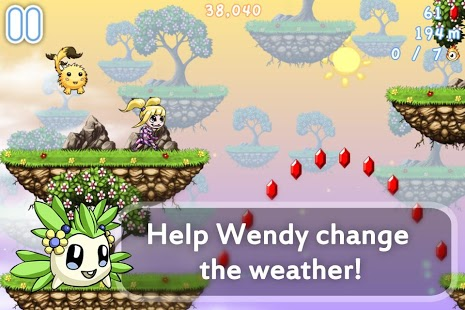 Help Wendy collect experience, beat the highscore and bring new Wonkis to life. Compare your highscore with all the other wetter.com and Wendy fans from all over the world!